This Arabic lettering logo was part of designing a visual Identity for Zenit, a Dutch TV broadcasting network aimed at targeting the new multi-cultural Dutch society. The client approached us at Tarek Atrissi Design requesting the design of a full visual identity for the channel, visualizing the channel’s vision and ambitions. A main focus of the identity development was the name of the broadcasting network: Zenit. The brief focused on exploring the name in two languages, Dutch and Arabic. 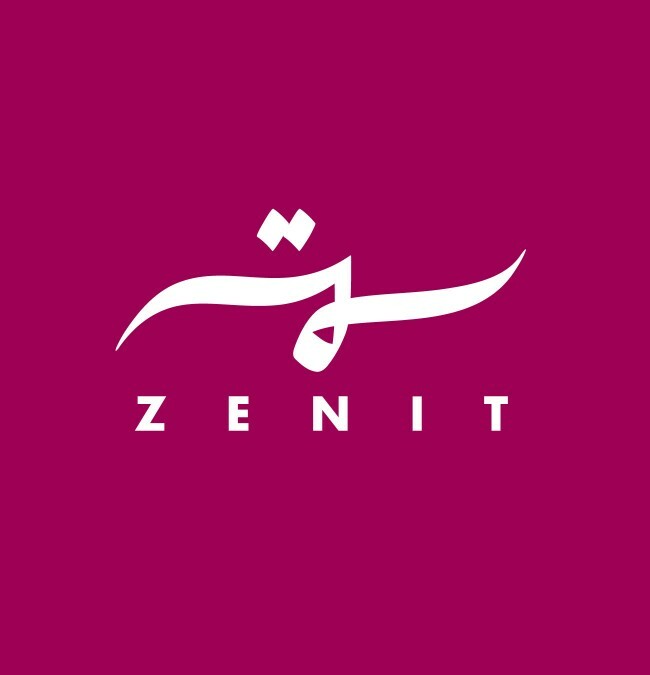 Zenit in Arabic is “Samt”, a rather unknown or commonly used word, that the client wished to used written in Arabic, as the script relates to a big majority of the audience targeted. The creative process and brainstorming phase defined the preferred direction of the design: an organic typographic rendering of the Arabic three letters word. Several typographic / calligraphic explorations were made to experiment with a wide variety of lettering for the Zenit Arabic word. The final logo was based on a creative Arabic lettering with a horizontal format and characterized by a calligraphic stroke. The typographic logo was adapted to a variety of printed and web applications required by the brand.